Spring days fill us up with new energy and inspiration. Children’s imagination is blossoming more than ever and they are looking for new adventures. So, we have picked out a couple of fun and educative spring activities for you and your kids. Enjoy! If you have more interesting ideas on how to spend spring days with children, share with us! We all remember our first cooking steps when we made cookies out of dirt and sprinkled them with rose petals. Help your kids create similar memories, by making a batch of “magic potions”. They can collect natural ingredients from your garden, such as berries, flower petals, leaf clippings, and mix them up with a solution of colored water and glitter. Then have them pour it in the grass or garden to help make things grow and blossom. This kind of activity influences the development of their imagination and helps them explore nature. Why not include children in your spring garden redecorating? Give them some painting colors and brushes, and together paint your garden pottery in new and fun colors. In that way, children will feel included in home chores and have a feeling that they can help their parents in some way as well. You will all feel even more satisfied when you enjoy your outside breakfast mornings because the results of your teamwork will be surrounding you. Let children pick a vegetable they can plant, grow and eat. 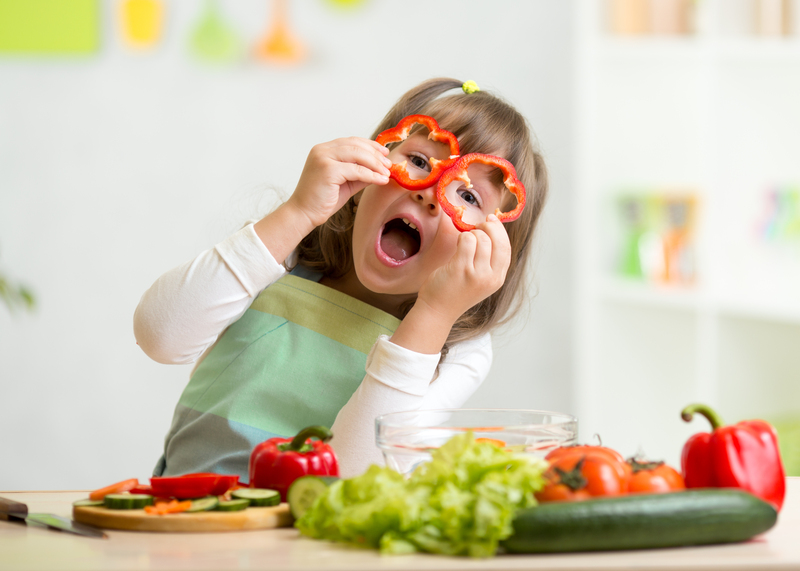 This will influence their sense of responsibility and help them understand how to make healthy and balanced meals. Once they have planted their veggies, look up some fun recipes that feature them as the main ingredient. Explain to them how their work resulted in a great meal for the whole family! Check out those numerous DIY videos and make a birdhouse together with your kid. There are some fun ways how to avoid using advanced craftsmanship and just make a birdhouse out of a milk carton. It will be such a great experience for your little one to look after the birds that will visit his birdhouse. Get together with the kids to compose a list of things nature brings at springtime. List flowers, different kind of berries, pine cones, etc. Then go out and collect a sample of each. You can even turn it into a competition! Make two lists, split into teams and race to see who will be the first to find everything. Infographic: How Do I Get My Kids Outside?